All of our lives, every day, we have been exposed to mold. A mold-free environment is just about impossible to achieve, even on that shining metal surface in your kitchen. Molds are extremely common forms of fungi, and they are opportunistic. That is why, if conditions are right, mold grows in homes very easily. Moldy bread comes to mind, with its green, fuzzy filaments that seem to be invading the crust. In reality, the mold is spreading throughout the bread, and feeding upon it. In the environmental cleanup department, mold is quite useful. Molds are eukaryotic micro-organisms that feed upon dead organic material and effectively turn them into soil. 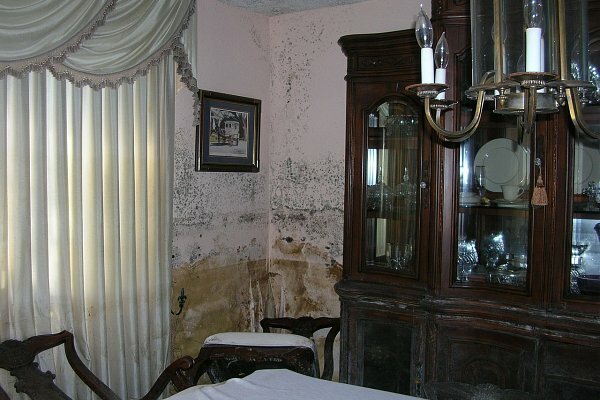 Mold is a strong factor in what we call decay. Mold spreads by extending hyphae, which look like tiny hairs. They reproduce by spores, which are similar to ultra-tiny seeds. Molds need the proper amount of humidity to grow, but the spores can endure through very dry or cold conditions until the environment is damp enough for them to sprout. People are generally not affected by molds. Most of us don’t even bother to take note of them, but sometimes, mold exposure can have serious health consequences for those with sensitivities to fungi. People with suppressed immune systems through medications, organ transplants or Human Immunodeficiency Virus can become very ill through contact with mold. Mold infections can occasionally grow on the skin. They can invade both immune compromised people and healthy individuals, if conditions are right. Athlete’s foot is an extremely common skin infection caused by a fungal (tinea pedis) or bacterial infection. Mold can invade this condition and complicate it. Scopulariopsis brevicaulis and Scytalidinum dimidiatum are the most likely molds to invade broken skin and complicate an infection. Surrounding skin is dry and itchy. The folds of the nail become infected. Eventually, the nail becomes discolored, thickened and may fall off entirely. Mold nail infections are very difficult to treat. The currently available medications must be administered for long courses, and topical treatment needs to be given simultaneously for results. This form of eczema is often mistaken for ringworm. The lesions are disk-shaped and red, sometimes crusted. The presence of mold on the skin often worsens this condition, because mold on skin changes the kinds of microbes that commonly grow there. This skin ailment is very difficult to treat, and tends to become chronic in certain individuals. The reason for the tendency to this disease is unknown, because all humans come in contact with molds. Dry, broken skin seems to precipitate the condition and possible mold invasion. An allergy to molds causes this condition. It is characterized by small itchy blisters on the palms of the hands. Some people develop blisters on the feet, and about 10 percent of sufferers have blisters on both hands and feet. Drying skin causes cracks and sometimes bleeding. The disorder is thought to be a histamine reaction to yeast or airborne molds. Nystatin, a common treatment for candida albicans, is the best course for this disease. Having a home checked and professionally cleaned for mold eradication is recommended. Sporotrichosis is a skin infection caused by fungus. This particular fungus is very closely related to mold, especially the kind found on moldy bread. Mold spores are the origins of this disease. The spores can be hosted in damp floor joists and crawl spaces of houses. They are often pushed under the skin through contact with hay, soil, thorns or mosses. Sometimes cats or armadillos carry the disease and transmit it to humans. When the spores enter the skin it may take months for the disease to develop. A pink or purple, hard nodule on the skin is a first symptom. In time, this ulcerates and drains. If not treated, the nodule can ulcerate and drain for years. In 60 percent of cases the mold enters the lymph glands. Then new ulcers spread, following the line of the lymph nodes under the skin. Very rarely, the mold spores infect bones, joints, brain and lungs, especially in those who are immune compromised. This infection is very difficult to treat, especially if it has invaded the lymph system. The drugs considered are Sporanox initially and intravenous Amphotericin. Treatment may take a year. Followup visits are necessary to make sure the disease is eradicated. Preventing Sporotrichosis through wearing gloves when working outside and proper covering when entering damp areas like crawl spaces is imperative. Those sensitive to molds should attempt to control household mold growth by controlling levels of humidity in places like showers and kitchens. If mold growth has occurred, it can be removed from hard surfaces with a three percent hydrogen peroxide concentration or soap and water. Soak the moldy surface in the peroxide solution for ten minutes. Then scrub and wipe off. Vinegar is a good antidote to mold, as well. If a person is sensitive to molds, a professional clean may be beneficial to avoid the risk of exposure.